Are you missing a spirit level? Pulling out your hair because you can’t remember where you left the damn thing? Well, install the Leveltool on your Wii’s homebrew channel, grab your wiimote and get to work. 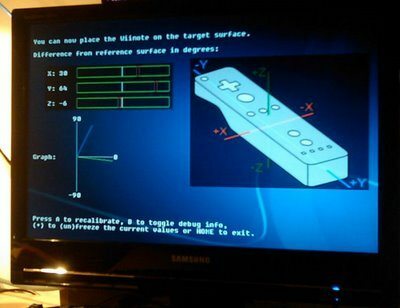 Leveltool program uses your wiimote’s internal tilt sensors to simulate a spirit level on your TV.